Spartanburg Highway Construction is Getting Dirt Everywhere. 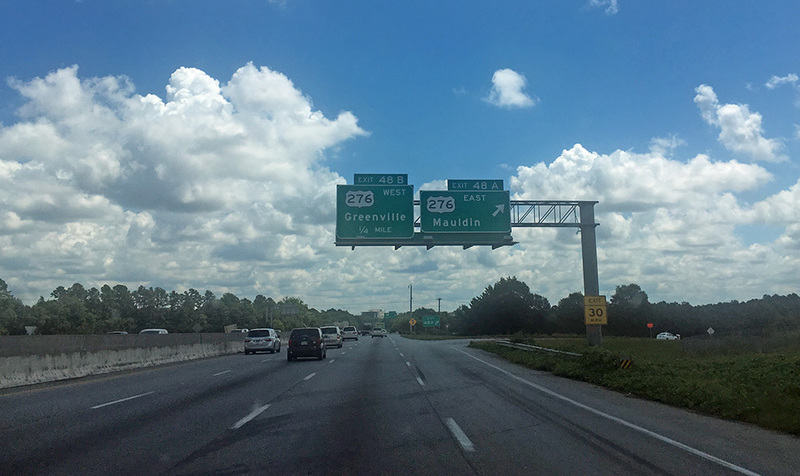 Have you seen all the highway construction going on around Spartanburg? Our part of upstate is growing and the new construction will help alleviate traffic problems and give us a better quality of life. But it comes with its own unique set of problems. All this Spartanburg Highway construction is kicking up dirt that seems to be getting everywhere, and in every nook and cranny. Lets face it, our famous red clay gets everywhere and during the summer rainy season, it gets stuck to our shoes, and tracked into our homes and businesses all day every day. Then it dries out and gets kicked up into the air again where it settles on everything leaving a layer of red dust. This dirt and dust looks bad to your clients, and is annoying to your staff. These can both be a problem for your bottom line. An unhappy customer will spend less, and is less likely to return. But a customer that feels more comfortable because you have a clean environment is likely to spend more, and continue to frequent your business and continue spending. A clean office also keeps your staff happy, motivated and more productive. When your office is dirty, your staff stops doing what you pay them to do so that they can clean up… and they don’t do a great job at it either. The best option for a business in the Greenville Spartanburg area is to outsource their cleaning to competent professionals who know how to handle the issues that plague our area. Summit Janitorial is a locally owned business that has been serving the upstate for almost 25 years. Our staff is background checked, drug tested, and paid above our competitors. We are able to do that because, as a locally owned business, we don’t pay franchise fees or sales commissions to some foreign parent company. Everything we do is local, and stays local helping our community, and the people in it. With on of our teams of trained professionals, your business will be clean and attractive to both your clients and staff. Your clients will feel comfortable, and happy in your establishment, and will be willing to spend more. Your staff will be more content at work seeing that you care enough about the business to have it professionally maintained. This will, in turn, make your staff care more and increase their productivity. Another benefit from having a well trained, professional janitorial company cleaning your office is a reduction in sick days. Particles of dust and dirt from outside (like that red clay that gets tracked inside) can get kicked up into the air and where your staff and clients will breathe it. This can lean to breathing issues and hay fever. Keep your staff and clients safe and healthy with proper cleaning done by the expert team from Summit Janitorial. We don’t cut corners, we clean them.